A list of around 1,000 companies with vacancies in the Yorkshire, Tyneside, Teesside / Tees Valley, Northumberland and Leeds areas. The list is split into two tables: the first contains charities, education and public sector organisations. The second table lists private sector companies. Where given, company sizes are measured by the number of people they employ. This figure usually includes all employees of the company, or parent company - not just those employed in the North East. A few companies are listed but carry no links - these are organisations that I estimate should have a significant recruitment effort (based on turnover and number of employees), but I can find no website or recruitment link on their website. Other useful local company lists include Newcastle City Council's Business Directory, The NEPIC Directory, Yell, Free Index and Endole. The linked websites are checked regularly for phishing, viruses and malware and any infected links are removed when found. Companies who only offer low-quality jobs such as unpaid internships, commission-only sales or work-at-home piecework will not be included. Minimum company size is generally 50+ employees and £1M+ turnover, however exceptions are made where future expansion seems likely or where the company works in an area where jobs are scarce in the North East. The list is not exhaustive. Suggestions for new additions or corrections are welcome. The price of a home has been rising faster than wages. Ownership levels are dropping. 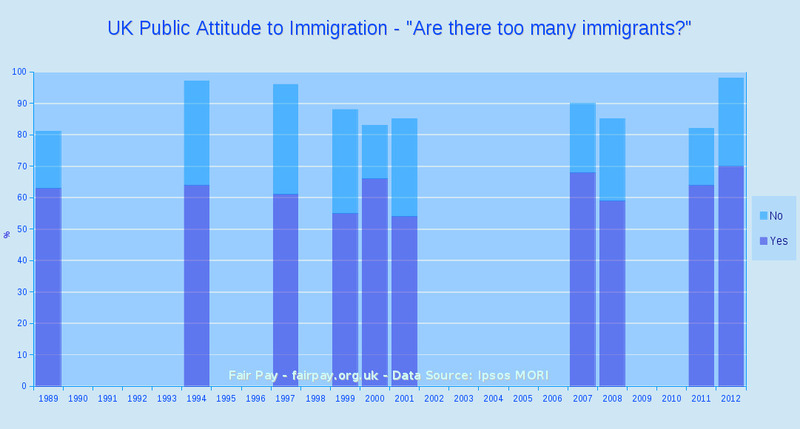 70% of people agree 'there are too many immigrants' - but what do the statistics say? 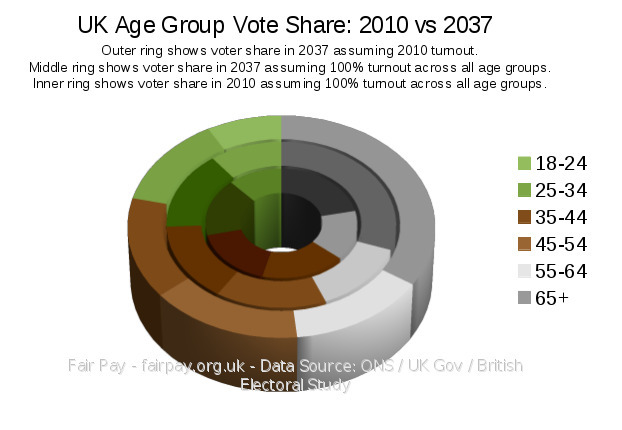 Younger age groups have less voting power and will have even less in future. The chart above shows that house prices for first-time buyers have massively inflated between 1969 and 2012. Not only have prices increased, but they have become more unaffordable. In 1969 the average home cost just over £4,000, against an average buyers' wage of £1,600 (price: 2.5 times income). 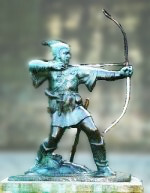 By 2012, the price had increased to almost £182,000 against a buyers' wage of just under £45,000 (price: 4 times income). The following graph shows the same data between 1978-2012, adjusted for inflation using 2012 as the basis. The media is the most powerful force in this country, not our politicians. The Conservative Party are fond of the phrase, 'We're All in it Together', but where does it come from? The most obvious feature of this dataset is that voting turnout amongst the 18-34 group has been in decline since 1983, though it did start to pick up again for the 25-34 year olds in 2005 and for the 18-24 year olds in 2010. 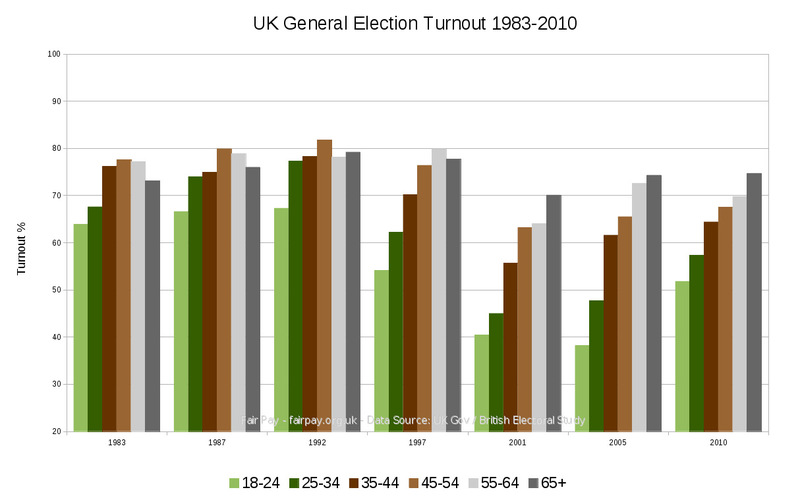 Turnout amongst the older age groups has remained consistently higher since 1997, and the difference is particularly noticeable in the 2001 and 2005 general elections. A Detailed Summary of the Government's New Localism Bill. Jobs and workers' terms and conditions of employment under threat as Darlington Borough Council brings in budget cuts and council tax freeze. There were over 28,000 different boys' names and over 36,000 different girls' names spread over 729,674 births. The top 10 names account for 13% of all names. The names are listed in order of popularity (most popular to least popular). Schools minister threatens North East schools with 'further action' if they don't stop 'hoarding' money. The UK's highest-paid public sector workers were revealed yesterday. 9,000 workers are paid more than the PM. In a 2012 Ipsos MORI poll, 70% of respondents strongly agreed or tended to agree with the statement, "there are too many immigrants in Britain." This is the highest level of agreement in the 10 polls in this series available from Ipsos MORI, covering 1989 to 2012. 1% cap on public sector wages, LGA broadly welcomes the measures. A list of the 200 favourite names for 2012 new-borns, split into boys and girls. Two years after the implementation of National Job Evaluation (NJE), Nottinghamshire County Council has announced changes to employees terms and conditions. The graph below shows cumulative inflation levels for each of the EU countries available from the Office for National Statistics. The inflation index used is the HICP - the Harmonised Index of Consumer Prices (CPI in the UK). The group of countries experiencing higher inflation over this period mainly consists of EU countries that have not joined the single currency - Bulgaria, Hungary, Latvia, Lithuania and Romania. The exception in this group is the newest addition to the Eurozone, Estonia, which adopted the Euro in 2011. The following graph shows the same data with an adjusted scale on the Y-axis to show the lower-inflation group of countries in greater detail. 200,000 civil servants walk out on strike, protesting against proposed changes to pensions and savings in redundancy and early retirement payments. Policy Exchange recommends that public sector pay should be frozen until it reaches 2003 levels. Exciting Times: Up to half of council's employees to be sacked due to budget savings - consultation to be opened. 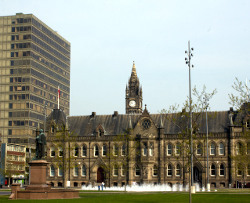 The Northern Echo and Evening Gazette report that Middlesbrough must save an additional £11M on top of previous cost-saving estimates, which may result in the loss of up to 1,500 employees - over half the number of people currently working at the council (2,500). In a subsequent article, the Northern Echo reports that 600 jobs have already been lost since 2010. Local newspaper says County council may merge with its district councils to become a 'super-centre'. A Tough Year Ahead for Council Employees? Will 2010 be a harsh year for the public sector? Pay rises to be restricted to below inflation - LGA supports 0% rise. 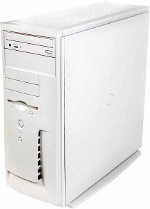 Windows XP will automatically open or run the contents of CDs and USB sticks when loaded or inserted. Here's an easy way to prevent it. The links above will download Windows .reg files which if allowed to execute will modify your Windows registry settings. Please note that these files have only been tested on Windows XP Home Edition, but they should work okay for Win XP Pro. Obviously, you proceed at your own risk etc. but quite a few people have already used these links (as provided in my earlier guide to Windows XP security and so far no-one's emailed or commented to accuse me of blowing up their computer. You should check the contents of the files with a text editor such as notepad to ensure they don't contain anything malicious, but if you've found this page by searching for information about disabling Windows' autorun feature, then I doubt I need to tell you that. If you're looking for information on how to disable autorun in other versions of Windows (or information on additional settings for these registry keys), then this Microsoft article should prove useful. The NoDriveTypeAutoRun key will be set to the value of 04 (hex 04) or 255 (hex FF) depending on whether you want only USB sticks (04) or all removable devices (FF) prevented from auto-running. How Facebook and twitter are damaging the internet. I don't like Twitter. Here's why. 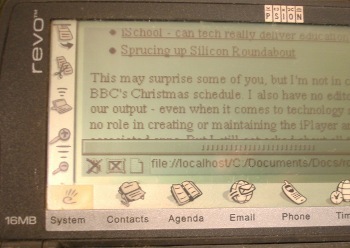 While wandering the BBC blogs, I came upon this article by Rory Cellan-Jones. It reminded me of something that's been bothering me for some time. What a strange, backward step it is to have to write 'apps' (programs) for different devices just to use a website. Yet the arrival of mobile internet has somehow caused the rise of the 'app'. Instead of concentrating on making webpages that function correctly on all devices, suddenly we have programmers writing native code for lots of different devices. You could argue that at least it's creating jobs for programmers. True, but I'd argue it's time and resources that could be better spent elsewhere. The argument in favour of mobile apps goes, as far as I can tell, that the processors in mobile phones are still quite weak compared to proper computers, and therefore it helps to use native code to speed things up. That might be understandable when it comes to things that need a lot of computing power, like iplayer, but it really doesn't explain why every other website has to have a mobile app just to render some text and pictures. From a security point of view, the last thing you should want to do is install programs willy-nilly, yet websites are increasingly pushing mobile users towards the idea that this is a normal state of affairs. If your website is too slow on a mobile device, I can't help suspecting that the underlying HTML/CSS and code that powers your website has become far more complex than is actually required - or someone's mobile's web browser isn't very good. RasPi coming soon - two models planned, changes to specification. This looks like a case of the stupid getting caught, and the devious getting away. The main thing about a computer, the thing that really defines it and makes it a computer, is that it's programmable. Not programmable in the limited sense that it will remember which TV programs to record while you're out, but in the true sense of programmable – your computer is constantly following a list of instructions, and it will absolutely follow them. This is the great strength of true computers. Unfortunately, in the modern interconnected world, it is sometimes their great weakness. The internet , as you know, is made up of websites and webpages. The pages you browse to are displayed on your screen by a web browser, such as Internet Explorer, Firefox, Chrome or Safari. Generally speaking, the information sent to your browser from the web is quite simple – it's just text and pictures, and some simple instructions* on where to put them. That's basic HTML, the language the web is written in. Basic HTML can't do calculations, it can't run computer games in your browser, it can't really command your computer to do something in the way a programming language can. It just tells your browser what text and pictures to display, and where to put them, and nothing much more than that. The nice thing about this way of doing things is that it's relatively safe from a security point of view*. If your web browser can only display things or play sounds, then it's not so likely that information sent from the internet can take over your computer. As the internet evolved, it quickly became desirable to add a bit more cleverness to the way web pages worked. It's impossible to run a shopping or banking website without a program being run somewhere to keep track of things and provide the 'brains' needed for dynamic content. It's at this point that programming languages have to be used, because basic HTML can't do that sort of thing. So the web very quickly evolved to make use of programming languages. What a strange, backward step it is to write apps just to access a website. How free, open source software could be used to make massive savings in the public sector. The orange car has deployed a 16-valve engine configuration for this occasion that we've come to expect from their manufacturers - large pistons in a V8 configuration. The huge cubic capacity of this engine, combined with the symmetrically balanced layout of the pistons helps to give that amazing engine note and low-down torque that we're all so familiar with. In a radical move, they've opted for a suspension technology they're calling "leaf-spring", which they tell me completely removes the need for dampeners. The grey car, on the other hand, has deployed an incredible 5-speed synchromeshed transmission system. 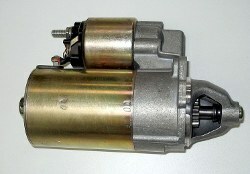 Drivers have told me that the gear change is short-throw and very positive. Perhaps less exciting was their decision to stick with a familiar braking technology - drum brakes, rather than disc brakes. Sources close to the manufacturer claim this will definitely pay off in terms of higher speeds. The blue car's manufacturers have been stressing the benefits of achieving a better power-to-weight ratio, and have managed to lighten their car by building the body of the vehicle out of plastic. They have also fitted the front and rear with a downforce-reducing technology they are calling "inverse spoilers". The manufacturers say this will significantly reduce the amount of weight on the road and "you'll see some serious performances at speeds over 80MPH". And that brings my commentary on this event to an end. Imagine if that was the radio commentary on a car race, and that the entire commentary for the duration of the race was like that. This is the problem I have with a lot of economics journalism - and quite a few other types of journalism, too. The above 'commentary' may be interesting for people who know about cars (and the jokes might amuse), but surely even the biggest petrol head wants an occasional update on who's winning and which car is the fastest (or corners best, or even which is least likely to kill the driver). I'm not claiming that any of this is a brilliant metaphor for the current economic situation, of course. Budget cutbacks and job evaluation at Broxtowe Borough Council. Office for Budgetary Responsibility Report paints an optimistic picture of the future economy - but not for public sector pensions. How the system that finances students can turn them into debt slaves. If it's the latter, then it's just further evidence of how Twitter (along with other companies) appears to be determined to screw up the basic principle of internet content being universally accessible in its pursuit of money. 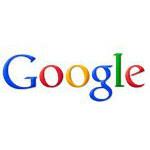 They recently accused Google of unfairly promoting their own social network in its search results at the expense of other networks such as Twitter and Facebook. That's a bit cheeky considering Facebook's (quite successful) attempts to create a walled internet, and Twitter's attempt to do something similar by presenting an unstable interface to the internet and then effectively sealing off their links to all but the unscrupulous via 'nofollow' links and third-party URL- shorteners. Information for website admins who have spotted the Sparo Link Checker user agent in their site logs. A short analysis of UK wage statistics show a greater pay gap between ages than genders. Sifting and ranking millions of websites into a top 50 or so is difficult, obviously. (I say 50, because people probably rarely dig further than a few pages). Most of the time, Google's algorithm works amazingly well considering the scale of the challenge, especially considering that spammers are constantly trying to take advantage of it. But I think there might be room for improvement. Google definitely seems to rely at least partly on the popularity of a site (as measured in click-throughs) to rank it. This is clearly open to all sorts of abuse, hence I think ranking should be more about the merit of the text rather than the number of clicks. Popularity is all well and good, but just look at some of the things that are popular. I'm not being snobby about this - I can enjoy I'm a Celeb as much as the next person, but it would be a bit annoying if I had to craft a fiendishly complex search term or scroll down 1,000 results before I could watch Newsnight. A choice of algorithms would help to fix this problem. 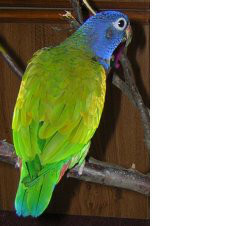 One could search by popularity, another by subject or level of language used, and so on. I think it would be a good idea if there was a learning algorithm that was manually adjusted by actual people moving things up and down the rankings - experts in their field, perhaps, though obviously there'd be issues of staffing and bias to address. A textual meritocracy approach might also enable blogs to be ranked more fairly alongside traditional websites - at the moment, although they do appear in normal search results, they seem to be somewhat ghetto-ised into a specific blog search option. Facebook and Twitter are currently moving vast swathes of text, information and human interaction out of the reach of search engines. Of course, I'm not a Zuckerberg-style anti-privacy zealot, far from it. People should always be able to communicate conveniently and privately with their friends via computers. That's what email and instant messaging is for. But where would we be if every little question asked and answered vanished into the depths of Zuckerberg's private network? What if, one day, you wanted to look up that strange error message your computer was giving you (or, to take a more life-and-death example, imagine you needed to know how to cook a haggis) and the only results that came back in Google were those spam sites that are increasingly clogging up the internet - because no-one was talking on forums or contributing to public comments any more? No doubt there's also a lot of text stored in Facebook that is of no value whatsoever, and the internet would be a poorer place for having it, but that's the job of search engines - sorting the wheat from the chaff. Not only is text vanishing from the internet, but so is information about that text. If hyperlinks to interesting content are increasingly shared via non-searchable social networks, then search engines will be increasingly starved of information used to determine what is popular or useful. Facebook delivers a double blow to the internet - not only is it siphoning off content, it may also be making search engines less able to sort the information they already have. Is it not Foolish to Strongly Police the Internet? Clamping down on internet trolling can be counter-productive. A complete set of instructions for installing and configuring Windows XP for maximum security and privacy. 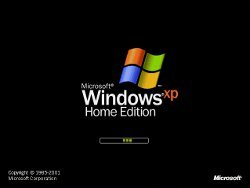 This article may also be useful for other versions of Windows, it's difficult to say - Windows XP is the only version of Windows that I run. Why? 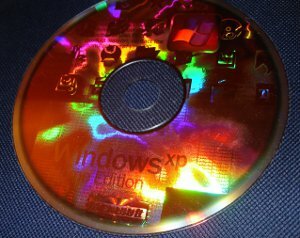 Because it's a good, solid version that still has a few years left in it (support for Windows XP ends April 2014) and it has quite modest demands in terms of how modern and fast a computer it requires. The less your computer is being overrun by Windows' demands, the more of its resources are available to the actual programs you want to run. That's why, if you look at the minimum hardware requirements for computer games, software developers tend to specify more memory and processor power for Vista and Windows 7 than they do for Windows XP. In many ways, it pays to stay with the oldest version of Windows that Microsoft still supports that also meets your requirements. Follow this advice at your own risk, and remember that with today's delightfully complex operating systems, there is no such thing as a completely hack-proof, internet-connected computer. No, not even a Linux or Apple Mac PC. I've tried to make this article as understandable as possible, though you will need some familiarity with various IT concepts. In an attempt to offset this, I'll try to provide helpful links to explain things where I can. Be sure to read and understand the entire article before attempting to follow the steps. Cars are increasingly being fitted with GPS screens, trip computers wired into the engine management computers and on-board entertainment systems that can display TV, play MP3s, and even connect to the internet. All great stuff, but computer security can be really complicated, so I hope car manufacturers' software engineering is more rigorous than that often found in the home computing sphere. It's fine if all these systems are separate from each other, but convenience, interoperability and efficiency suggests that all of these systems will get knitted together into one in-car IT system. Once this happens, a vulnerability in one system could open the doors to exploitation of all the other systems. For example, a music CD burned with some encoded malware might be able to instruct the engine's fuel injection system to shut down, disabling the engine. In my opinion, engineering and diagnostic functions should never be accessible via a method that could be potentially invisible to the car owner. The possibilities for a car equipped with mobile internet connectivity could be horrifyingly endless. I like in-car gadgets, but I hope the car industry has learned from the mistakes of other sectors and are keeping their various systems completely separate, or at least keeping the security and engine management systems apart from everything but immobilisers and diagnostics. I'll be surprised and impressed if we don't hear of cars being hacked within the next few years. From the standpoint of someone who makes some effort to keep up with the very fast-moving world of IT (sometimes needlessly fast, in my opinion), car manufacturers often seem very slow to innovate. Maybe this is as a result of being cautious of new technologies and extensive testing and engineering. Progress is generally a good thing. Few people today would want a car that had to be started with a crank handle because it lacked a starter motor. 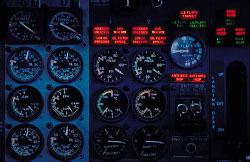 Similarly, most people would not want to be without an engine management computer, as the computer can generally adjust the fuel/air mixture better than a human operating a manual choke, and manage a number of other engine parameters better than the old mechanical methods that were used. Since my last article on the amazing Raspberry Pi miniature computer, the Raspberry Pi team have been extremely busy. The specifications as reported in my original article have now changed, and there are now two different models planned. Both models are equipped with a 700Mhz ARM11 processor. I did some rough calculations around the time of the Raspberry's announcement and decided the processing power would probably be roughly equivalent to a Pentium III running at about 600Mhz. Delvings into the Raspberry Pi website suggest it might be closer to a PII or PIII@250Mhz. However it should be noted that it's very difficult to fairly compare the performance of different processors against each other in an easy way. The proof of the Raspberry Pi will, of course, be in the real-world feel of how it performs - something we might discover by the end of November, which is the earliest mentioned launch for their initial 10,000 unit production run. Both models are based on a Broadcom BCM2835 board, with a surprisingly powerful on-board OpenGL ES 2.0-capable VideoCore IV graphics processor (my rough guess is that it's somewhat better than an old Nvidia GeForce 2). The Raspberry Pi running Quake 3. This means that the RasPi will probably be capable of running all my favourite Linux games. The graphics card will share the memory available to the system, and the amount of RAM it reserves (and removes from the memory available to the system) will be variable and can be customised depending on need. All versions of the Pi will come with a full-sized SD memory card slot. This will provide a solid-state hard drive and swap memory facility. It could also be used like a video game cartridge slot, since the graphics chip will boot whatever Operating System (OS) it finds on the card. Did my GCSE history lessons have anything to teach me about the modern world? While looking for a book to read, I found one of my old History textbooks. 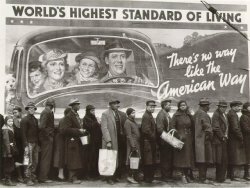 Having read the section on the great depression of the 1930s, I thought I'd share it. Hopefully the original publisher's and author's drive to educate will outweigh any temptation to enforce copyright, should they stumble upon this page. It's interesting to compare the current economic slump to what was written about the 1930s'. There are a number of common elements, but many of the locations, players and types of debt and speculation have changed somewhat. Extract from Mastering Modern World History, Second Edition, by Norman Lowe, published by Macmillan - pages 111 to 113. The numbering and use of bold and italic type are from the original text. 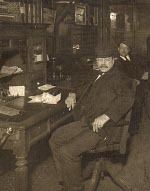 (a) What caused the great depression? (i) American industrialists, encouraged by high profits and aided by increased mechanisation, were producing too many goods for the home market to absorb. (in the same way as American farmers). This was not apparent in the early 1920s, but as the 1930s approached unsold stocks of goods began to build up, and manufacturers produced less; since fewer workers were required, men were laid off; and as there was no unemployment benefit, these men and their families bought less. And so the vicious circle continued. 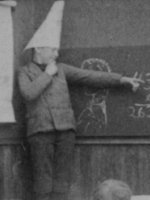 (ii) There was a maldistribution of income, which means that the enormous profits made by industrialists were not being shared evenly among the workers. The average wage for industrial workers rose by about 8 per cent between 1923 and 1929 but during the same period industrial profits increased by 72 per cent. An 8 per cent increase in wages meant that there was not enough buying power in the hands of the general public to sustain the boom: they could manage to absorb production for a time with the help of credit but by 1929 they were fast approaching the limit. Unfortunately manufacturers, usually in the form of the super-corporation, were not prepared to reduce prices or to increase wages substantially, and so the glut of consumer goods built up. This refusal by the manufacturers to compromise was shortsighted to say the least; at the beginning of 1929 there were still millions of Americans who had no radio, no electric washer and no car because they could not afford them. If employers had been content with rather less profit there is no reason why the boom could not have continued for several more years while its benefits were more widely shared. Even so, a slump was still not inevitable provided the Americans could export their surplus products. Was one of Tony Blair's children actually fathered by a New Labour spin doctor? The Leicester Mercury compares the budget savings underway at two Leicestershire councils - one Conservative, the other Labour. Hot on the heels of the LGA telling councils to scrabble down the back of the sofa for loose change, Notts County Council has found four million pounds. It's a long-standing argument, and no doubt there's a lot of truth in it. Local businesses seem to manage to stick around, but it must be difficult to compete with the power and resources of the supermarket giants. Supermarkets succeed for various reasons, but the most important one is that most people prefer to shop in a supermarket rather than trail round the local shops. I like the idea of supporting local business, but supermarkets are more convenient, usually have a better range and thanks to their massive buying power, they're often cheaper. The solution seems obvious - become a supermarket. No one market trader or local shop owner could do it alone, of course, but if they got together and pooled their resources perhaps they could rent or buy a town centre location or a big plot of land out of town and make their own supermarket. So why isn't it happening all the time? I really don't know. I can think of various reasons, but I'm not sure any of them are correct. It actually does happen to some extent (most of the major retailers started out as market traders or small businesses), but not as much as I might expect. Near me, there's a nice little indoor market. If all of those people got together, they'd have the basis of a proper mass retail business. I suppose an indoor market is already almost a supermarket, but it would be better if it worked more like a proper supermarket, with shopping trolleys and a place to pay at the end, after the shopper had gathered everything they wanted. 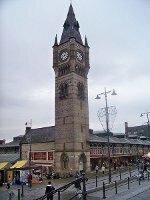 That indoor market space could act as the start of a business conveyor belt: The existing businesses move up to being a proper supermarket, and the space gets filled with a new generation of market traders, who eventually save up enough money to go on to make the next supermarket. Is Nick Clegg unpopular because he did his job better than the press did theirs?